A management chair with a modern look built for comfort and support. 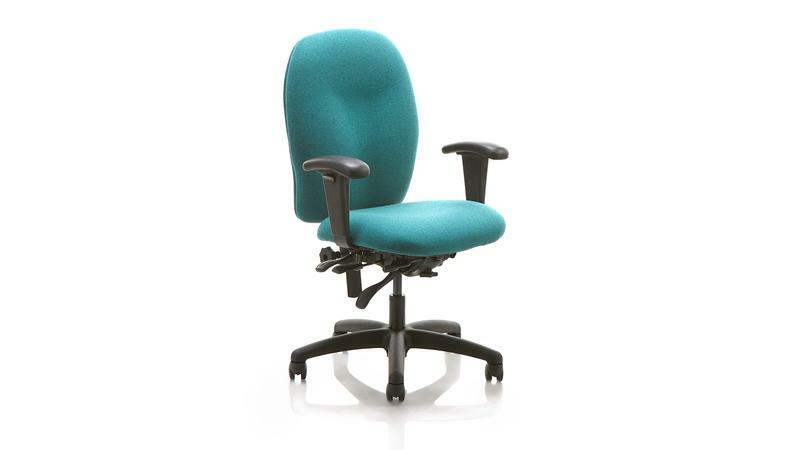 It has a completely upholstered medium backrest with easy height setting and viscoelastic foam seat for added comfort. The seat features a soft waterfall-style front. Available in fabric, vinyl or a combination of both, with or without armrests or headrest.